Musa is Leicester’s fourth signing of the summer after goalkeeper Ron-Robert Zieler, defender Luis Hernandez and midfielder Nampalys Mendy. 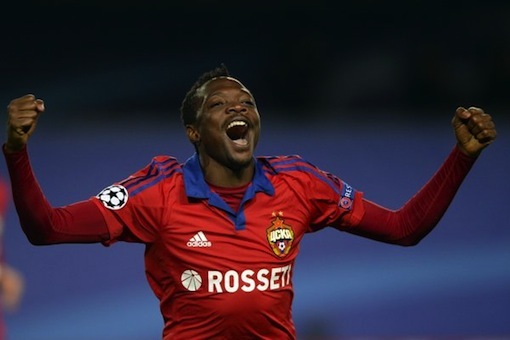 Leicester’s new signing joined CSKA in 2012 and scored 54 goals in 168 games, and has scored 11 times in 58 appearances for Nigeria since making his debut in 2010. He scored twice in his country’s 3-2 defeat by Argentina at the 2014 World Cup in Brazil, becoming the first Nigerian to score twice in a World Cup finals match. His first goal in that Group F game was his country’s fastest at the tournament, coming after just four minutes.